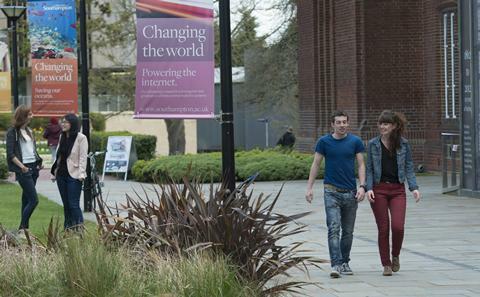 Highfield is our main campus and the heart of the University. Set in beautiful green surroundings, it’s easily accessible from the city centre. 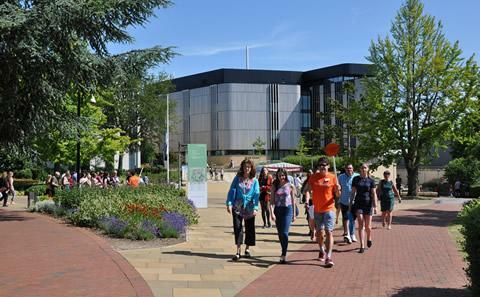 Highfield Campus is home to many innovative buildings, lively arts venues, and great sports and leisure facilities. 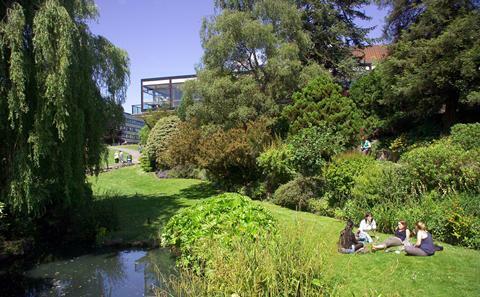 We aim to inspire staff and students with stunning places to work and a vibrant atmosphere. At the same time, we take care to make the best use of energy and resources. 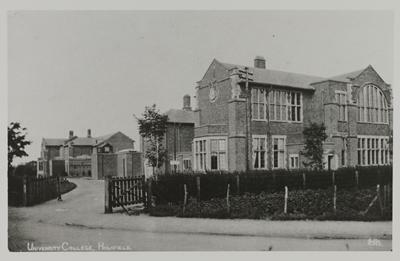 Staff and students celebrated the official opening of the Highfield Campus in 1919, with the first academic year starting 1919/20. Read the Special Collections blog and our history page to find out about the past 100 years at Highfield Campus. 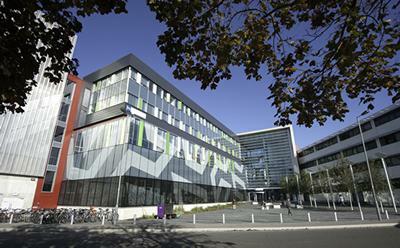 The Life Sciences Building provides an integrated research base where life sciences staff and students can work with scientists and engineers from other areas within the University. In 2011 it won a Royal Institute of British Architects (RIBA) award. These awards are presented to buildings that have high architectural standards and make a substantial contribution to the local environment. 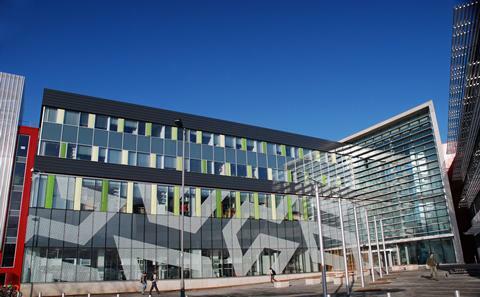 "This brilliantly-designed building is not only energy-efficient and sympathetic to the environment, it also provides an inspirational space for creative thinking and learning." The Mountbatten Building houses a world-class clean room and associated laboratories, together with offices and meeting rooms. The design is bold and modern. Glass curtain walls with a mathematical fractal pattern enable those outside to view the research taking place inside. In 2009, the Mountbatten Building won a RIBA award. The Centenary Building - named to mark 100 years of the University on its Highfield site - is due to open in time for the 2019/20 academic year. This major new teaching and learning facility will feature lecture theatres, seminar rooms and a café over seven floors. Watch our fly-through video for an artist's impression of how it will look. The Highfield Transport Interchange is a major transport hub for the city of Southampton. 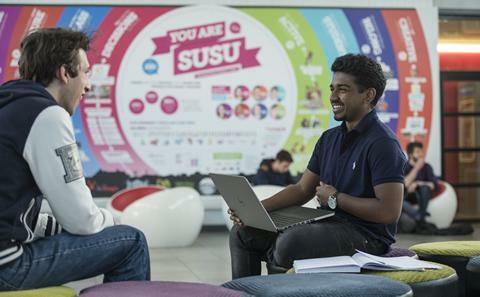 From here, you can catch the University's own Unilink buses for travel to other campuses and to other destinations across the city, including train stations and Southampton International Airport. The interchange offers real-time travel information, a well-lit, covered waiting area, and a refreshment kiosk. It is used by students, staff, and the local community. 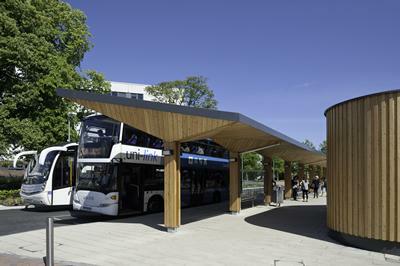 In 2011, our transport interchange was showcased by RIBA as a project with a small budget delivering a big impact. When you're not studying, Highfield has plenty to offer. 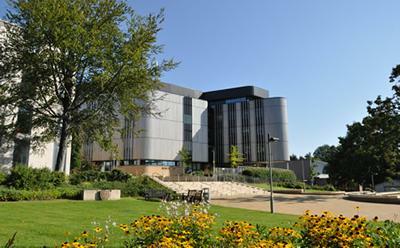 Our well-known arts venues include the Nuffield theatre, Turner Sims concert hall, and the John Hansard Gallery. 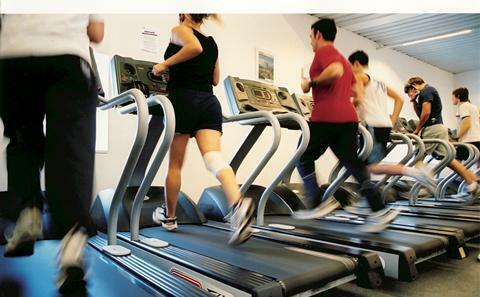 You can swim in the 25m pool at the Jubilee Sports Centre, or make use of the gym facilities. And if you need a break to rest and refuel, choose from the range of restaurants and bars run by the University or by our Students' Union.